In a June interview with UK chat show host Graham Norton, Cher — born Cherilyn Sarkisian some 72 years ago — talked about the public reaction to her first dramatic role as an actress. Critics were left laughing out of the other side of their mouths when Cher — then just a former pop star and family variety show host — was nominated for an Oscar for her poignant, nuanced portrayal of nuclear whistleblower Karen Silkwood’s lesbian roommate, Dolly Pelliker. She won a Golden Globe for that role and was nominated for a supporting actress Oscar. Later, she won an best actress Oscar for “Moonstruck” in 1986. (She’s also a Tony award away from an EGOT, having won an Emmy for her 2003 Farewell tour special and a Grammy for her 2000 single “Believe,” which having just mentioned it, you almost certainly will have it playing on a loop in your head for quote some time.) And this week, it was announced that she would receive the Kennedy Center Honors. 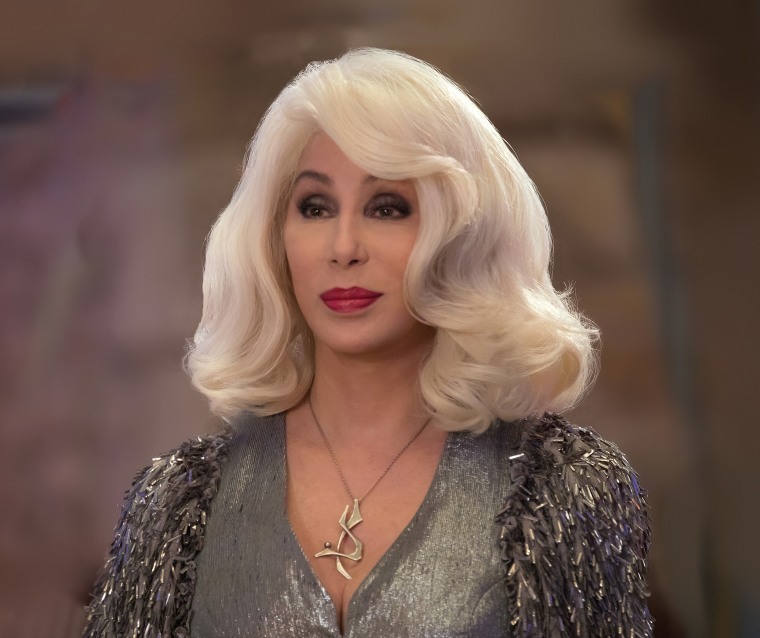 The lesson here, clearly, is not to sleep on Cher, an entertainer so durable and consistently excellent that we joke she’ll outlast human civilization. At the end of time, the saying goes, there will still be cockroaches and Cher. All of that is why my husband and I went to see the jukebox musical “Mamma Mia: Here We Go Again,” which by all rights should have been absolute dreck — a sequel to a jukebox musical, made after all the really big ABBA hits got used up in the first movie, should really be the kind of thing you end up seeing at three in the morning whenever it comes around on STARZ. And yet, as a friend described it, “Mamma Mia 2” was like a shot of serotonin, thanks in no small part to a platinum-wigged Cher who shows up in Act Three and walks off with the whole film by singing a mere one-and-a-half songs. Part of it is the lady’s star presence and charisma; it’s simply impossible to look at anyone else when she’s onscreen. The other characters all become extras as soon as Cher flies in and touches a perilously high heel to the firmament. The other part of it is her unmistakable singing voice, as instantly recognizable as Aretha Franklin or Stevie Nicks. Cher sings in a throaty warble with a turbo-speed vibrato that rivals Freddie Mercury’s and would likely drive most voice teachers wild. And yet, it’s a voice that conveys emotion like copper wires conduct electricity. Generation after generation of audiences has found something to love in it, whether she’s turning out dance music — a genre she admits she dislikes — or her beloved six-string rock and roll. Perhaps in these unstable, chaotic times, the reason that everyone loves Cher is that she gives us something to hang on to. She is a kind of anti-Trump, if only in that she has made deft use of both Twitter and anti-aging regimens. She is consistent and dependable and highly unlikely to turn to drugs, shave her head or attack the paparazzi with an umbrella. She is more Cher-like than even her most deft impersonators, and increasingly more so with each passing year (none of which currently show on her visage). Whether she’s burning up the red carpet in a Bob Mackie headdress, straddling a cannon on a battleship in thigh-high fishnets, touring exhaustively or blasting President Trump on Twitter, Cher is the true definition of a cultural warrior. For half a century, she has presented to the world the image of a woman in control, working her particular magic on film, in the studio, on the road or just on Graham Norton’s couch. I truly hope I get to stick around with her and the roaches. David Ferguson is the host of The TRex Report podcast and lead singer of the rock band Kompromat. He lives in north Georgia with his husband and four rescue cats.